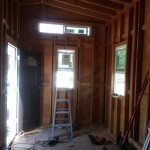 If you count the small crescent window built into our front door, our tiny house is sporting 10 windows. 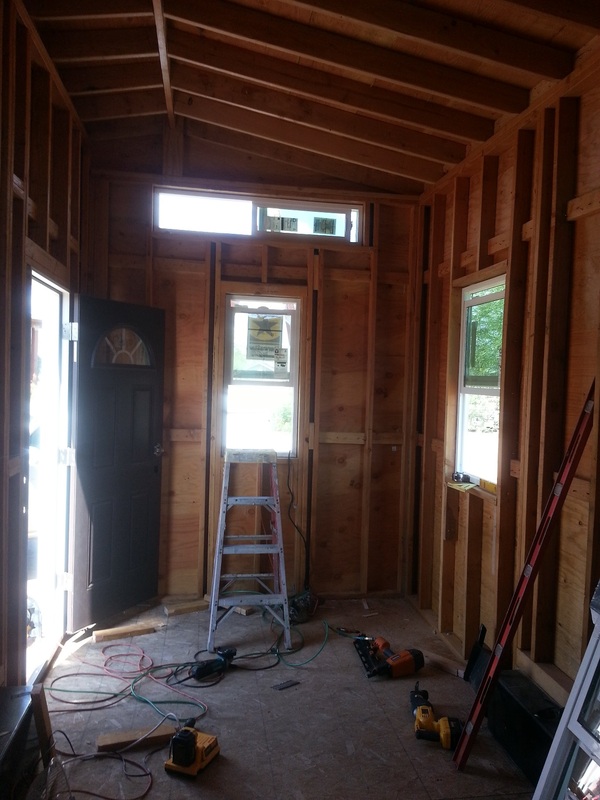 For the last couple months we have been moving at a pace of just one or two windows per Saturday with a few weekends off for planning and some special occasions (go August birthdays!). 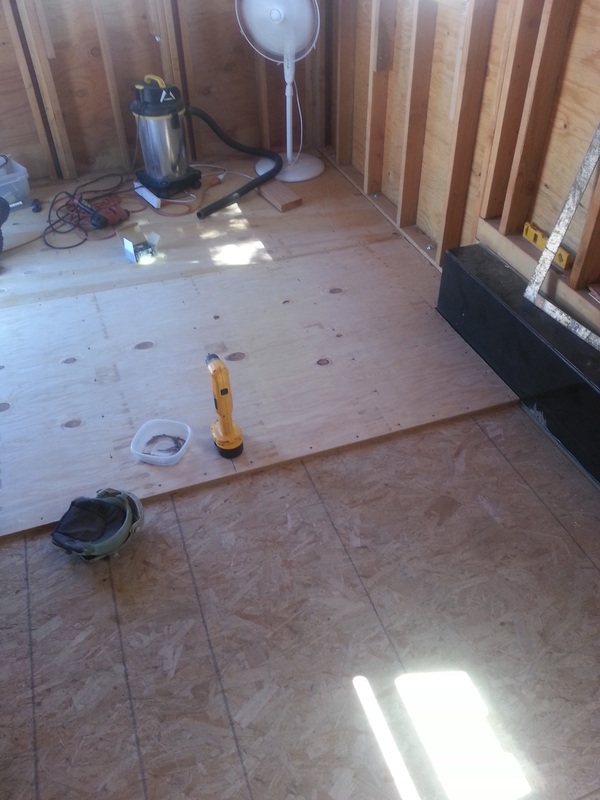 We also added another layer of decking down on top of the first for a 1.5 inch deck. 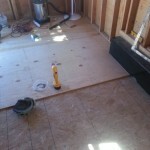 We will be putting hardwood floor down on top of this for a total of 2+ inches for the floor. 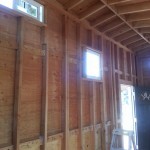 We wanted to make sure every window could open (of course the door crescent cannot). 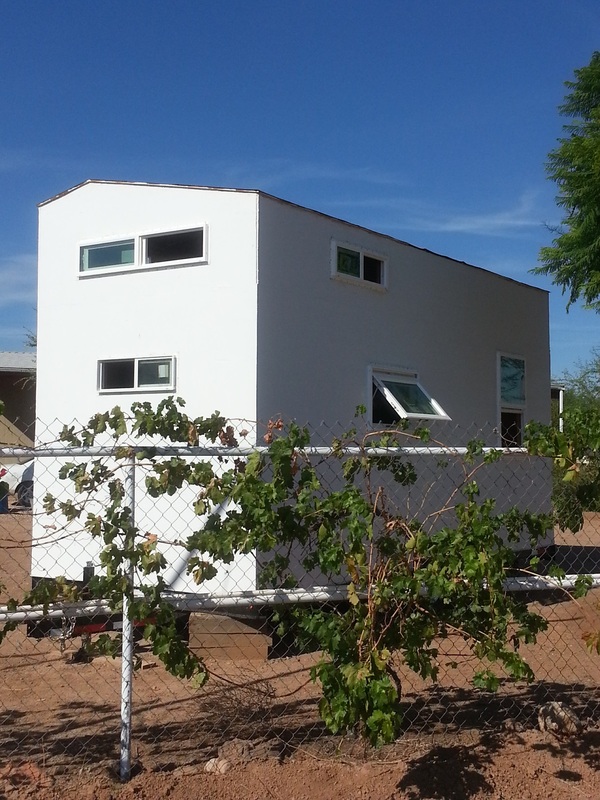 We have three windows just for our loft space so we can enjoy the nice Arizona winter weather and have plenty of fresh air when needed. 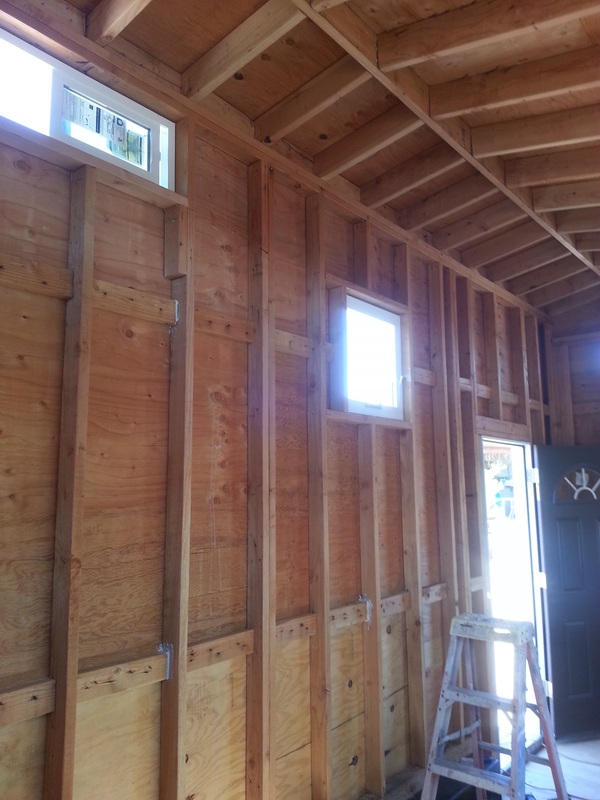 It’s now time for siding and we are thinking stucco! 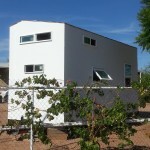 Thoughts and comments are welcome below. 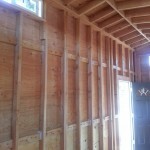 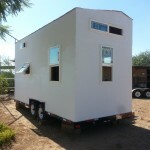 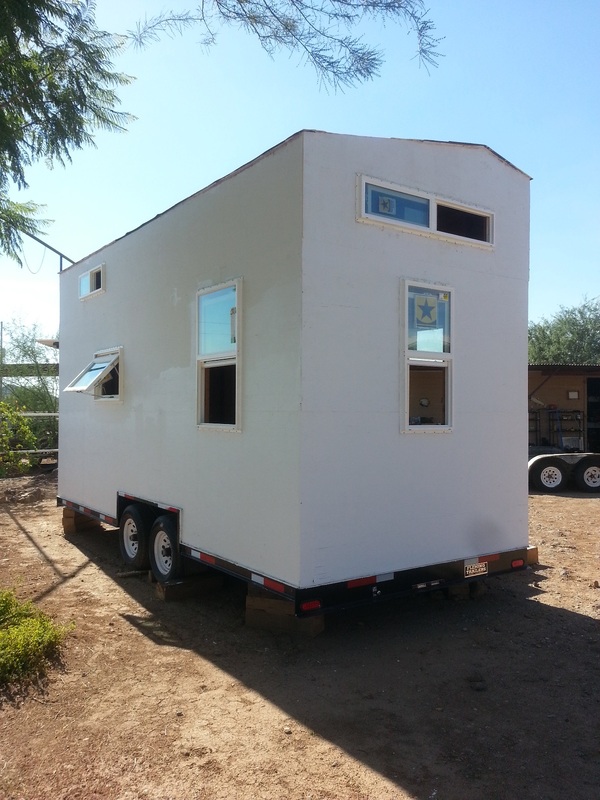 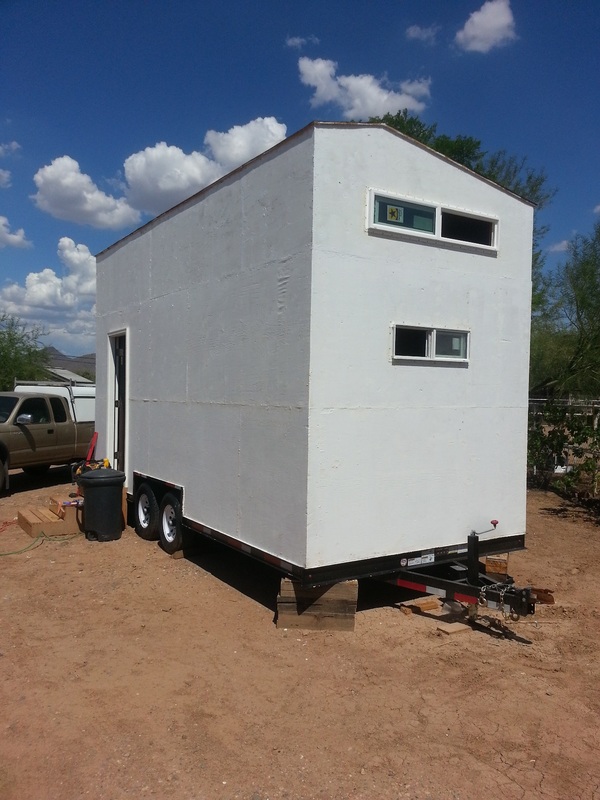 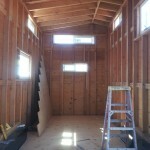 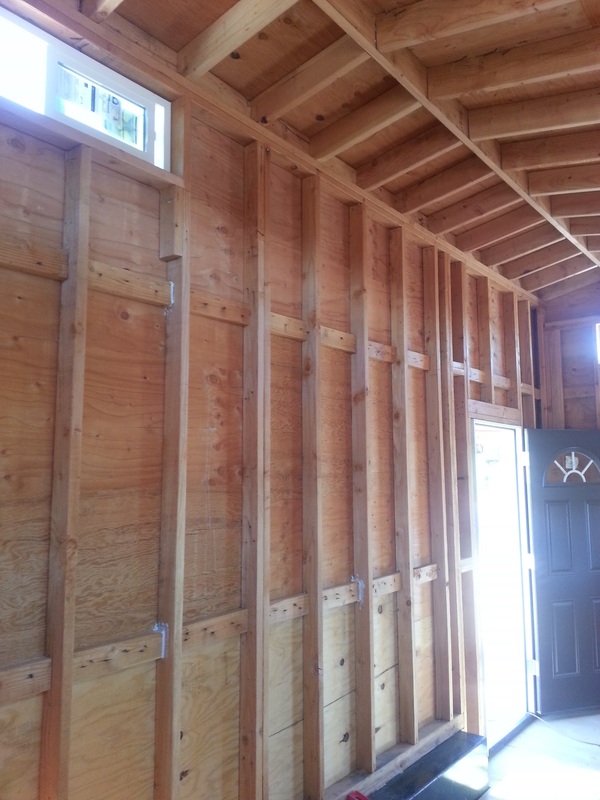 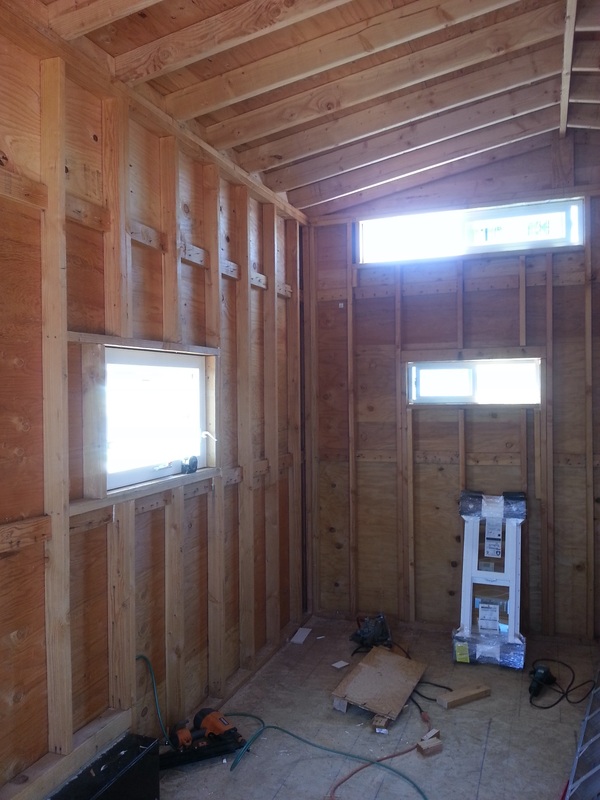 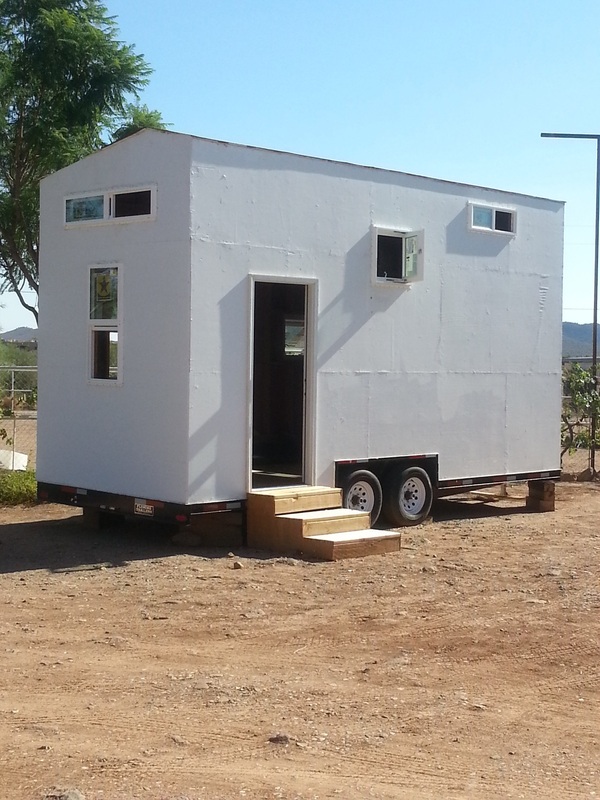 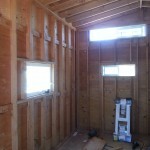 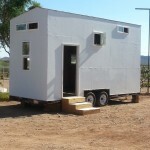 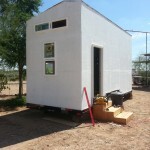 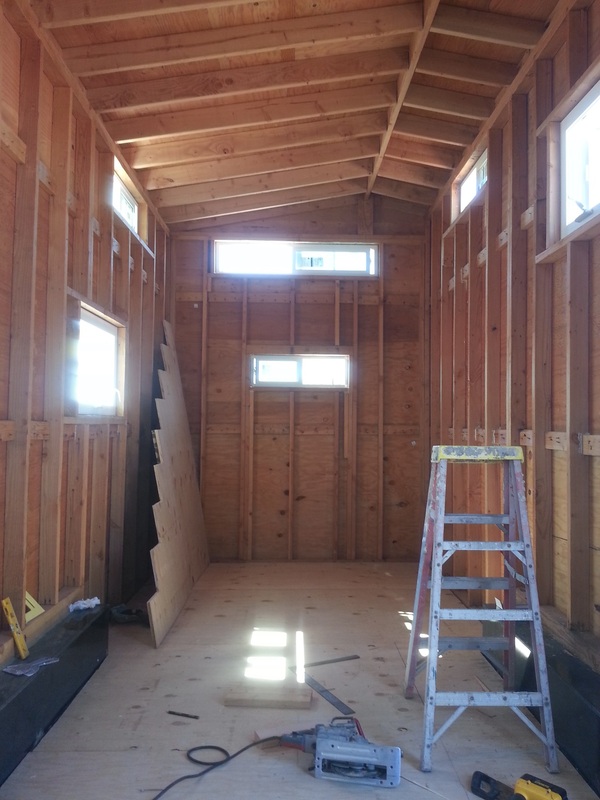 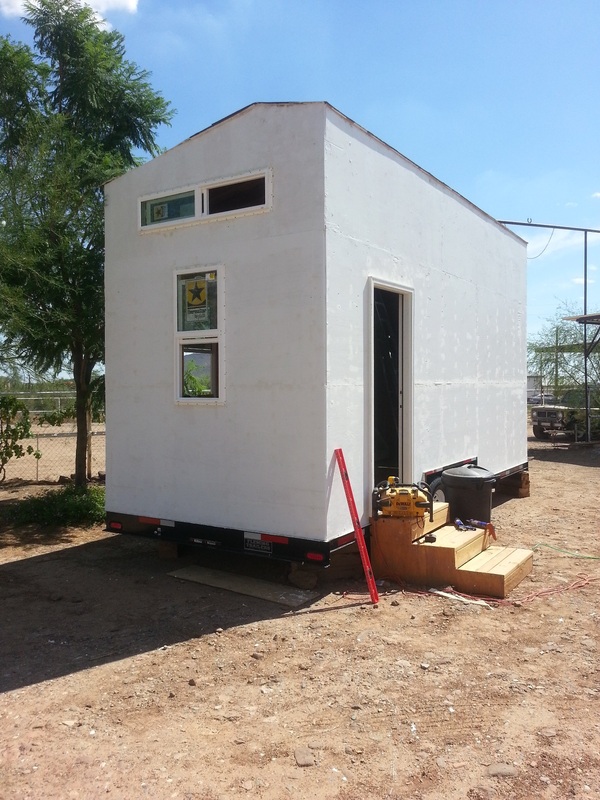 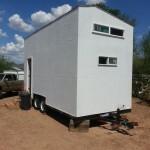 Would we be the first tiny house to use stucco instead of neat wood or vinyl siding?